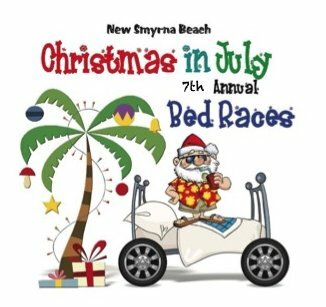 Be a part of Christmas in July on Canal Street in New Smyrna Beach! Christmas Has Come to Canal Street! The Canal Street Historic District Association invites you to be a part of our 1st Saturday Art Stroll and Christmas In July events on Saturday, July 7th from 10-5pm. This has been a very successful event for many years. Your artistic media will make wonderful gifts now or Christmas for those thinking ahead. Be sure to pass along the invitation to participate to other artist friends. Christmas In July event on Canal Street 10-7pm. Activities and music all along Canal Street throughout the day! Come join us for some Christmas spirit in July and have some fun! See specific activities listed below. ***Please respond by June 21st to be included on the artist promotional flyer and to guarantee your participation Please mail $20. fee in by July 1st to CSHD P.O. Box 641 New Smyrna Beach, FL 32170. Stroll and stop in Canal Street's wonderful shops, restaurants, and businesses with some also featuring art/artists. Check out our online website with more information and the 1st Saturday Art Stroll application at www.canalstreetnsb.com. Email Lola Duckworth at lolacajun@cfl.rr.com or call her at 386-690-8666 for further information or questions. We look forward to seeing all of our crafter friends on Saturday, July 7th on Canal Street. Pass the word on to your artist friends. Come be a part of what's happening on Canal Street! Participants: Businesses, families, churches, clubs, etc. are welcome. All ages may participate but, since the race is a very fast paced, it is recommended that any pre-teen aged children be accompanied by a parent who participates in the race on the same team. You need to wear good running shoes. Please no flip-flops, sandals or bare feet. Each team must have 5 people to a team (4 runners and 1 rider). This will be a single elimination running relay. The starting line will be on Canal St. at the intersection of Magnolia St. The race will be two 1/2 blocks - down to almost Orange St. Heats will consist of 2 beds at a time. The beds will leave the starting line with 4 pushers and 1 rider wearing their race T-shirts. All members of the team must be in contact with the bed at all times, excepts the T-shirt exchange is made and during the "drill". This will be an "Elimination Race". Two beds will race at once. Winners of the race will race the winners of another race, etc. The last winner of the final race will receive the trophy. All teams will need to display their name on the bed so that it may be visible to the audience. This is a great opportunity to advertise with your banner. 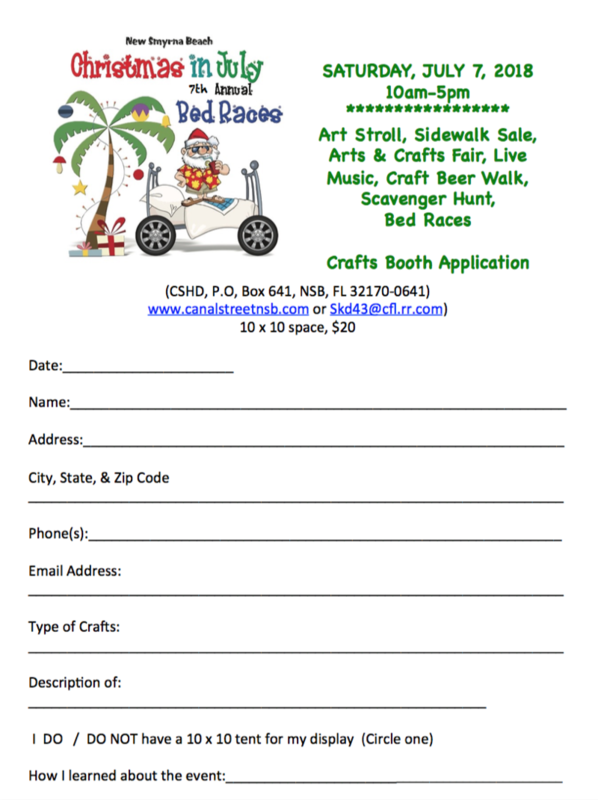 Participants are encouraged to decorate themselves and/or the bed in a Christmas Theme. The use of distraction devices such as water guns, horns, water balloons, megaphones, whistles etc. are approved and recommended to use, except for the bed that “SANTA” is in! All such devices must be used in a respectful manner and not to harm or degrade contestants and/or the audience. by having a headboard and footboard. • You may have swivels, steering, or permanently fixed wheels. Hint: fixed wheels are more than adequate. • The bed cannot have any means of propulsion or brakes other than provided by the runners. Human power only. No Motors. • Beds may not be pulled, only pushed from the sides and/or back. • The bed may have push bars, though may not exceed the overall width of the bed. • The mattress and/or box spring must be a manufactured adult sized bed, i.e., twin, double, queen or king. enforced. No youth beds, cribs, coffins, bed of roses (lol), or of the like. • Mattress must be outfitted with one blanket and one pillow. Any violations of the bed construction guidelines will cost a team a 3 second delay at the start, per violation. • BED RACE COMMITTEE HIGHLY RECOMMENDS YOU BUILD YOUR OWN BED. One of the most fun parts of a bed race is building your own bed and putting it to use.